After gigging more than a year with my first diy-keyboard, I wanted to use another keyboard. Because of the weight I decided to use the Fatar TP/100. 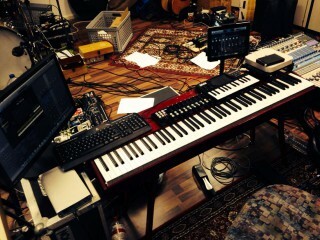 This keybed is built in the Studiologic Numa Nano and Acuna88. But for the upcoming tour with ELIF I needed more space to put some devices on the keyboard. In the end I’m not lucky with the keybed it all. It’s a bit too „bouncy“. The next project I’m right now into is building a keyboard with a TP/400 keybed.